President and CEO of Landreth Seed Co. The flowers we enjoy, the food we eat—much of it comes from seeds. But how much do we know about how all of these seeds came to be? Did you know that in 1798 the first zinnia seeds were sold in America; that the spinach you eat today was developed in 1826; that the information contained in seed catalogs taught generations of Americans how to farm and live off the land? Ms. Melera will trace the history of the seed trade in America from 1784 when the first seedhouse establishment was opened through the 20th century. 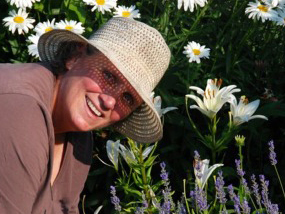 She will discuss the founding of Breck, Buist, Ferry Morse, Burpee, Park, Henderson, C. H. Lippincott and Bodger as well as Landreth and will tell the story of some of the seed trade’s greatest traditions—including the development of seed catalogs, and why they were established, and how the men who lead this industry helped to build a nation. Venture capitalist Barbara Melera received an S.B. in Mathematics and Soviet Studies from MIT in 1971 and an S.M. in Finance and the Management of Technology from the Sloan School in 1981. She is currently the president and CEO of The D. Landreth Seed Company, the oldest seedhouse in America, established in 1784, and the fourth-oldest U.S. corporation. In September, 2003, she purchased Landreth from the then owners and proceeded to restore the company. 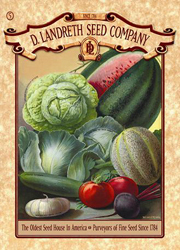 Today Landreth is recognized as one of the leading providers of heirloom vegetable, flower and herb seed.